Winner of numerous awards, this hotel has been a byword for style and comfort for over 70 years. Served in the famous marble and gold Promenade entrance lounge of The Dorchester, diners can choose to indulge in a Traditional or Champagne Afternoon Tea before drinking in the extravagance of the lavish setting. Palm tree fronds flutter above elegant couches while bright sunlight streams through the windows. There's also the option of a Vintage Afternoon Tea, served on the intimate balcony overlooking the iconic lobby, or a selection of themed afternoon teas, such as Wimbledon or Mad Hatter's. Choose from a varied selection of 20 imported teas, or go for the Dorchester's very own delicate blend. The hotel employs its very own tea chef, solely in charge of the afternoon's selection of finger food, not to mention the 15-strong team of pastry chefs who intricately fold together the mouth-watering range of sweets. Their scones have been made to the same delicious recipe for over 50 years, and we can tell why. The Dorchester is perfect for those traditional afternoon tea takers for whom glamour and glitz coupled with eyeing up fellow diners are part and parcel of the whole ritual. The Dorchester Afternoon Tea gyms, sporting activities, health & beauty and fitness. The best pubs near London The Dorchester Afternoon Tea. The Dorchester Afternoon Tea clubs, bars, cabaret nights, casinos and interesting nightlife. 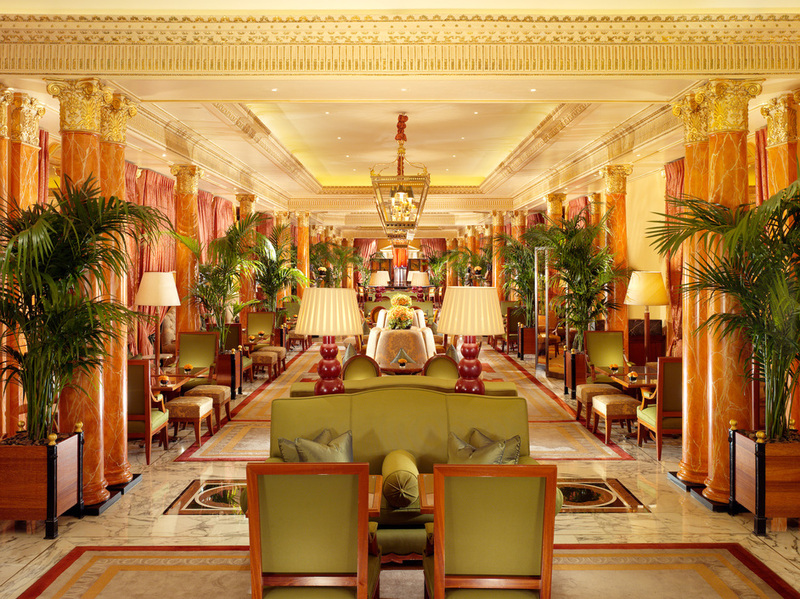 Where to have your meeting, conference, exhibition, private dining or training course near The Dorchester Afternoon Tea. From cheap budget accommodation to luxury 5 star suites see our special offers for The Dorchester Afternoon Tea hotels, including London Hilton on Park Lane from 95% off.